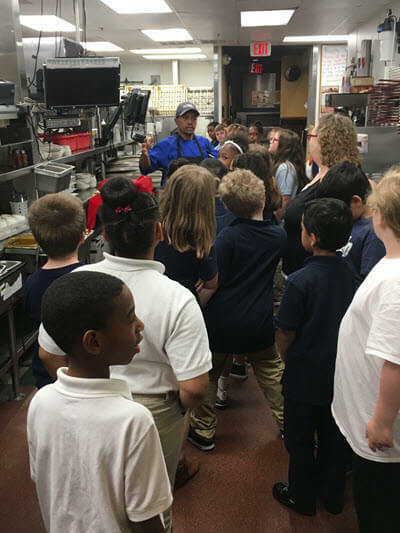 More than 70 Franklin Elementary third graders learned about table manners, etiquette, and nutrition on a recent field trip to Outback Steakhouse. The funding request submitted by one of Franklin’s third grade teacher, Mrs. Darla Stout, was approved by the Foundation Board in the amount of $497. The students were able to tour the facility to see how a restaurant operates, learned the proper way to set a table and even made a dessert. Of course they also ate the dessert! The students were able to learn about healthy choices that they can make when not at home.